Heavy Metal FTW! 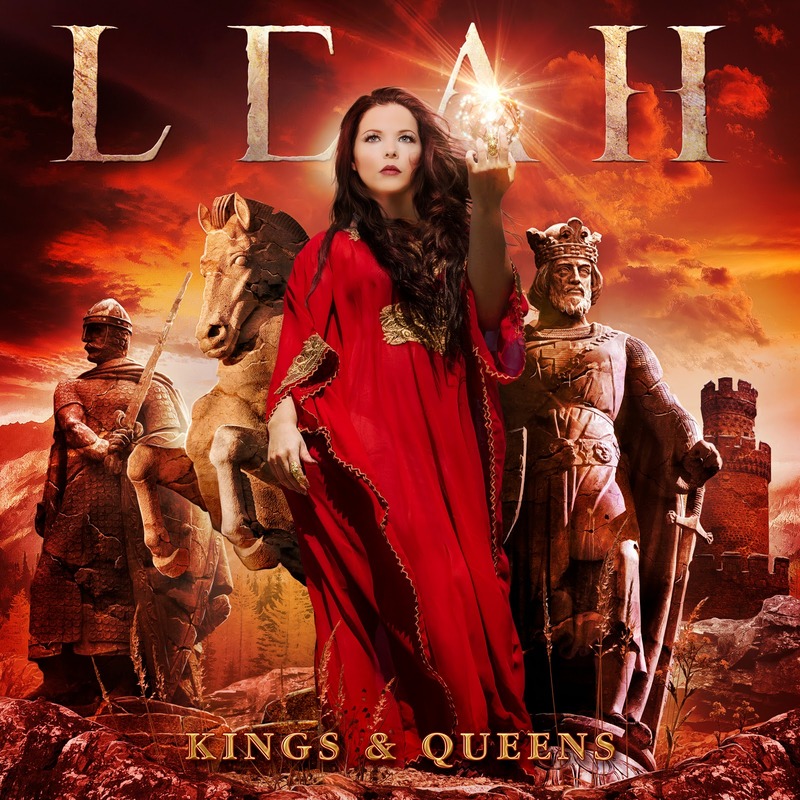 : CD Review: Leah - "Kings and Queens"
Vancouver native Leah McHenry recently released her second full-length album, entitled Kings and Queens. Leah has a lot of fans, and this album was much anticipated by them. It was also produced by Timo Somers, the guitarist of Delain, who also did the guitar work on the album. Released just this month, with a heavy amount of social media promo around it, Kings and Queens is sure to please fans of this musician, but as I am not a fan, I am not impressed. Since this is a blog and not a publication I need to have any modicum of journalistic integrity around, I will fully admit that I am biased against Leah because she has fucked with friends of mine in the local music community and as a result has a bad reputation. I will not support her by buying her album, and I didn't even bother to illegally download a torrent of it - I just listened to what was available of it on YouTube. Timo Somers, on the other hand, is a musician I have a lot of respect for and quite like. I even got to meet him last Sept. and he was gracious enough to have a photograph taken with me, which I really appreciated. I am not sure how much production experience he has, but he did obviously put his all into the production of this album. The overall sound is bombastic, dramatic, heavier, and much more complex than what Leah has produced before. Also, Timo is a killer guitarist, and that shows very well on Kings and Queens. My main issues with this album are twofold. For one, although there is no denying that Leah has a gorgeous voice - even I love it - she lacks technique and projection, and to be honest, range. I thought she had more range on her previous release, the EP Otherworld. Though beautiful to listen to, her vox turns monotonous after listening to a few songs because she doesn't use the full extent of her range. And she has very little technique that makes her voice stand out or sound interesting. Anette Olzon has more technique from what my admittedly uneducated ear can gather when comparing these two womens' styles. The other issue this album has, again to my untrained ear, is the mix. There are some songs in which the vocals are very overwhelmed by the music, especially the bass and the drums. Some songs are just messy with a confusion of competing instruments that create a chaotic listening experience. "This Present Darkness" is probably the best example; it luckily it has a lyric video, otherwise I wouldn't have understood much of what Leah was singing in it. By the way, it also has a lot of awkward words in it that sound really off because, kinda like Alanis Morissette, she is trying to fit difficult words into a difficult vocal line, therefore putting the emphasis on the wrong syllable of the word, which is weird. I'm used to hearing this from bands whose first language is not English - they don't know any better, of course. In general, too, I found this to be a very "wordy" album, and again, "This Present Darkenss" is a very long & repetitive song that could have used some editing of the lyrics to shorten it down a bit. The bonus track, "Siúil a Rún", is the only track on the album I can honestly say I loved. That's probably because I've heard it before as it is a traditional Irish tune that's been performed by all kinds of people. I recognized it as a song Clannad had covered years ago; I love Clannad. There are two versions of this song on Kings and Queens, one acoustic and one rock. Both versions are very nice and I liked them both. Also, Leah does use a bit more of her range in the acoustic version, which was a huge plus. I think that's about all I can say about this album without agitating myself further. BTW, what is going on on the album cover? !